Setting aside a time to be in His presences. The seven Feasts, God-given prophetic outline of His completed work of redemption from sin through Jesus. The picture of the Holy Spirit. Four spring feasts- in Jerusalem fulfilled the first time. Feast days are feasting on the Lord. When you have an appointment with God, he meets you at these places. Three remaining feasts will be fulfilled at his second coming. Passover, the feast of unleavened bread, the feast first fruits, the feast of Pentecost. Passover is the first chronologically and the first in the matter of importance, the foundation of all the others. It is the beginning. Nations celebrate the day it’s born. The Feast of Passover marks the beginning of the nation of Israel. Romans 11 we are grafted into the tree, the root of Israel. The secret to our future is found in our daily routine. Lord gives us the 613 moments with God, the commands of God. They are the first five books of the Bible. 85% of the New Testament deals with these. It is these moments that generate momentum in your life. These are the Godly habits of God. You do not decide your future your habits do. One of them is called the feast of Passover. God creates a moment, which generates a habit, which produces your future helping each of us to operate in a new season in your life. The Lord uses this same pattern in the life of a born again believer and their family; this is how they came out of my Egypt. In Israel, the celebration takes the form of a special meal called the Passover Seder. For the Christian, it’s the commemoration of the mass. Everything is transferred through the blood. 7 Covenants, Edam, Adamic, Noahic, Abrahamic. Abraham cuts the animals in half, represent people, Abraham in a temporary sleep. The two pieces of animal made a covenant by blood. Today to demonstrate the New Covenant Jesus uses a meal. The cup, blood of Jesus, and the bread, the bread of life, separated by the Word of God. The Seder was to remind the Jewish Nation; the Mass is to remind us. 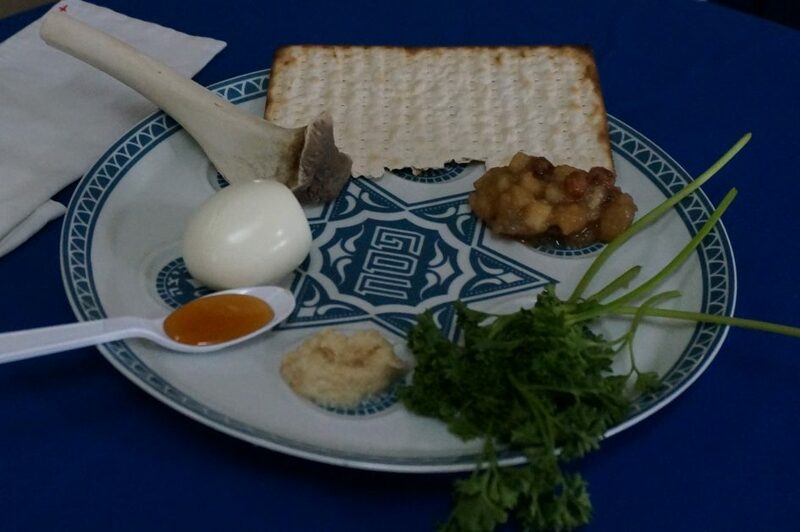 “Do this in remembrance of me.” The Seder is the oldest, on-going religious rite in the world- nearly 3,500 years old! Moses received it about 3500 years ago at Mount Sinai. (Instructed, Exodus 12:8 ) 3 things: lamb or shank bone, matzah bread, unleavened bread, bitter herbs. The order of this meal goes 700 years before Jesus, and he celebrated it. The order of the meal still the same. The eternal principals of God’s salvation are eternal principles, illustrated and explained in the Passover Meal. These same principles are also relieved in the seven biblical feasts, also in the 7 thousand millennial years, the seven days of creation as well as the completion of your life, Jesus uses this meal to reveal the New Covenant Luke 22:19. Blessed as we Celebrate this Feast in remembrance of the freedom that Jesus paid for each of us, bringing us out of the world and into our Promised Land.